To mark the debut of their very first wristwatch, the brand has reintroduced a real piece of technology from its past. 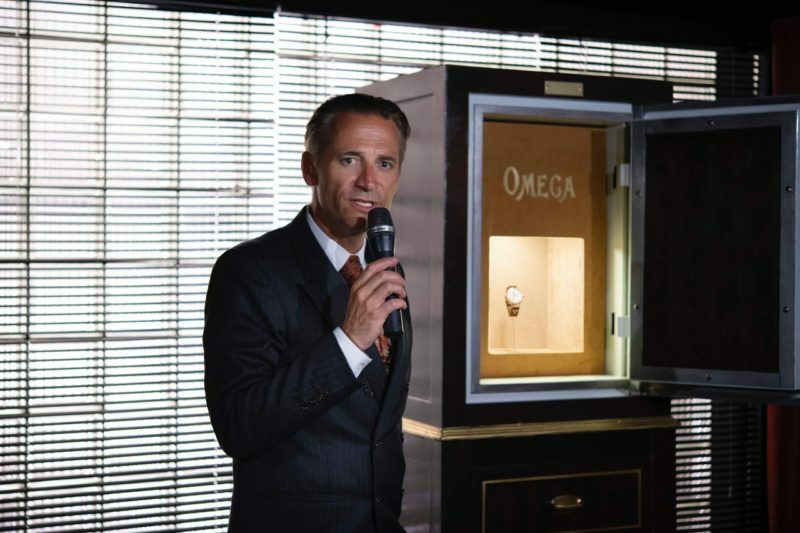 The “First OMEGA Wrist-Chronograph Limited Edition” was proudly launched at the brand’s “Museum Night” in Biel, Switzerland on July the 2nd. The 18”’CHRO Wrist-Chronograph Limited Edition collection comprises of just 18 watches – with each one housing an original 18’’’ CHRO calibre from 1913. For the outside design of the 47.5 mm timepieces, OMEGA has followed the look of an OMEGA wrist-chronograph from 1913, with classic details such as the riveted leather strap and the white enamel dial with blued “Empire” hands and hollow Arabic numerals. Modern materials have also been included, such as 18K white gold for the case, and 18K Sedna gold for the crown and pusher. The classic design also features a hatched caseback, which can be flipped open to reveal the refurbished movement positioned behind sapphire-crystal.